After dumping support for its last remaining Android Pixel C tablet last spring, Google is starting off 2019 with another major retreat in its hardware lineup — including the cancellation of various concepts in development. It was just one year ago that Google abandoned the last of its eight years of Android tablet initiatives. That span began with the official debut of Android 3.0 Honeycomb in 2011 and stretched to the abrupt end of support for Google’s Pixel C running Android 8.0 Oreo last year. This week, Nick Bastone wrote for Business Insider that the search giant began reassigning engineers and program managers in its Create hardware division that builds its Pixelbook and Pixel State, both of which run Chrome OS. Pundits have been constantly wringing their hands about the future of Apple’s iPads and MacBooks, deeply concerned that they may end up hitting a plateau where Apple is merely servicing the same pool of the few hundred million users who can afford high end mobile devices. However, nobody has been even slightly worried about the fact that every attempt Google has made in the hardware computing arena over the past decade has failed with spectacular embarrassment, making no money and gaining even less of a foothold in the market for personal computing hardware than Microsoft’s Surface. Across the entire stretch of years where Google has struggled to find a netbook, tablet, slate, notebook or some other form factor that it could sell with Android, Chrome OS or some mix of the two, it has only lost money and wasted time. Yet effectively nobody has ever predicted that Google would eventually give up on tablets or netbooks or other hardware experiments. While Google has been patted on the back for a decade of trying, Apple’s Macs and iPads have generated about $400 billion in sustainable margin revenues since 2010. With those funds, Apple has in part created its own internal Intel developing the latest A12X Bionic, and has funded a decade of coherent iOS development that has unseated Microsoft Windows as the world’s largest proprietary computing platform. iPad has actually shifted the nature of mobile computing for millions of consumers, professionals, and in the enterprise, while Apple’s MacBooks have given the entire PC industry a pattern to closely follow. And still pundits are throwing out speculation that maybe Apple should just give up in hardware and stop building computers so it can be a Netflix, while suggesting that Google’s failed Chromebooks and Android tablets are effectively neck and neck competitors. 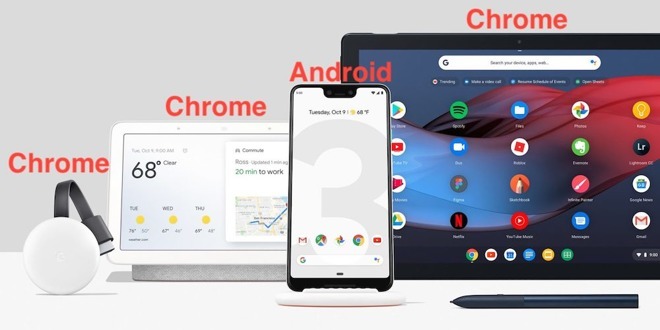 Last October, AppleInsider noted that—outside of phones—Google has been distancing itself from Android and has been increasingly pursuing new strategies around Chrome OS: in TV dongles, WiFi microphones, stationary tablets, notebooks and netbooks. Chrome OS isn’t at all new; it was introduced back in 2009 before Android had even gained much attention in smartphones. But the first Chromebooks didn’t even ship until the middle of 2011. By that time the netbook market that Google was attempting to target with Chrome OS had been knocked out entirely by Apple’s iPad. With all demand for netbooks effectively gone, Google doubled down on its attempts at beating Apple’s iPad via Android tablets, starting with an original notion of what Android tablets could be in partnership with Motorola; then reverting to making ultra-cheap, low-end tablets with Asus; then turning around and attempting to sell premium-priced iPad-knockoffs with HTC; then working to build an original tablet product with Pixel C, developed within the Create group. But none of these made any money. In part, that’s because Android offers a poor tablet experience, as its apps are mostly aimed at smaller phone screens. In contrast, Apple worked to make iPad a distinct platform running “tablet-optimized apps,” rather than just stretched iPhone titles, contributing to a functional platform where developers can build more powerful apps, giving buyers new reasons to buy iPads. Tech industry observers knew this but continued to talk about Android tablets as “winning” and having gained “market share,” simply because it appeared that large numbers were being sold. The assumption was that these sales would eventually create a tablet platform supporting app development. However, Google and its partners kept destroying the existing base of Android tablet hardware as fast as they built new ones. In part, this occurred due to their failing to support existing hardware with software updates, and in part by building low-end devices so poorly that many of them couldn’t last in any usable form beyond a year. So while Android tablets supposedly enjoyed impressive unit sales, they didn’t make any money and never created an installed base of satisfied tablet users with an appetite for apps or services in the pattern of Apple’s iPad. As Google’s hopes for Android tablets collapsed into nothing, the company’s Create group tried to migrate to Chrome OS. 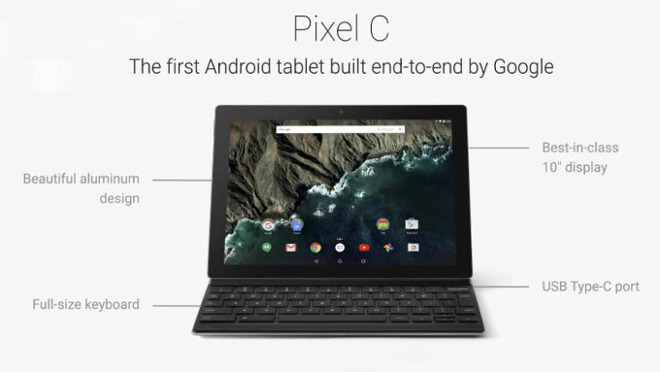 It is widely believed that the Pixel C was initially intended to ship with Chrome OS, but was switched to using Android at the last minute because Chrome OS wasn’t quite ready, being limited to only running web apps. After Google’s last Android tablet failed, its Create unit focused entirely on Chrome OS, shipping a $999 Pixelbook in 2017, aimed directly at iPad Pro, and then last year’s Pixel Slate, a $600 to $1600 Intel-powered device that looks more like a Microsoft Surface. 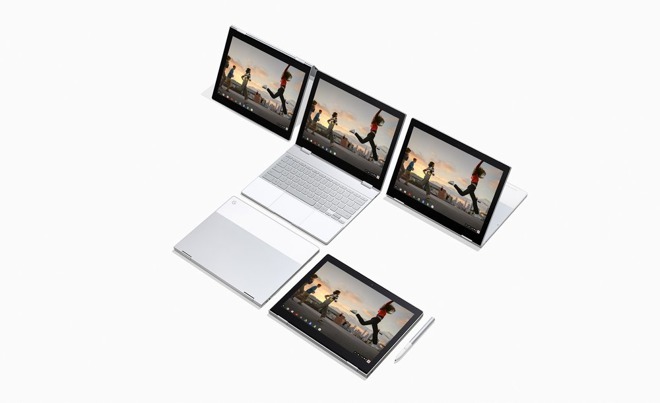 Google’s newest Chrome OS tablet-netbooks were intended to pair the platform’s native web apps with the new ability to also run Android mobile apps, even though a primary reason Android tablets had failed was because Android apps were such a poor fit on tablet hardware. 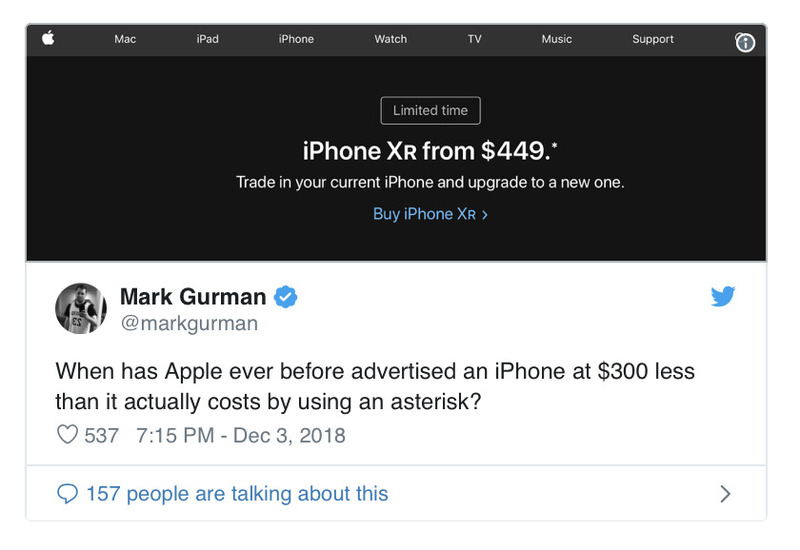 Compare the Wall Street Journal falsely claiming at around the same time that Apple’s best selling iPhone XR was “failing Apple” and was a product “Apple can’t sell.” That happened after Bloomberg insisted that Apple was offering iPhone XR for “$300 less than it actually costs,” because Apple was offering to accept trade-ins to incentivize sales of its full-priced, undiscounted new iPhones. You couldn’t craft such desperate slant into a movie screenplay and expect any audience to believe that such facile hogwash could be printed by real newspapers. Yet somehow a huge advertising giant didn’t catch any flack for not actually being able to sell any of its tablets, netbooks, hybrid slates or any other inventions over the past decade of trying, nor for actually slashing hundreds of dollars from the price of its brand new hardware. After the liquidation of unsalable Pixelbooks, it’s not hard to understand why Google is shuffling out its engineering talent from the Create group that was designed to think up new ways to sell Chrome OS with Android apps via custom-designed hardware. Chrome OS is not sufficiently powering any sales of premium priced hardware from Google or anyone else. Designing and supporting all of those models is also an expensive use of engineering talent that Google could be devoting to something that makes money. Yet the illusion remains that Chrome OS is still a functional business somehow. That’s largely due to a series of puff pieces initiated by Bloomberg, which created an impression that Chrome OS was “successful” in selling netbooks to K12 schools in the US. Never mind that that market is very small, and that the low end Chromebooks being sold there were not at all profitable. That thinking focuses entirely on unit sales — noting that some vendors are still shipping volumes of low-end Chromebooks — but fails to grasp that Chrome OS, just like Android, is failing to create a resilient, enduring installed base of satisfied users. Chromebooks don’t last, aren’t supported long, and must be replaced with cheap new hardware at a regular clip. As a recurring business model, replacement Chromebooks might make some sense if hardware makers were earning a profit on their low-end hardware. However, cheap Chromebooks are less profitable than PCs, regardless of whether they are growing slightly or not. 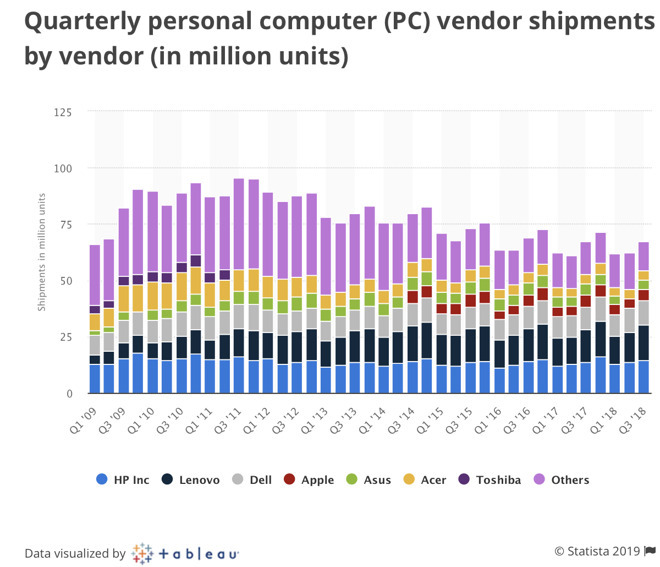 Note that sales of PCs are down dramatically since the appearance of iPad, so “growing faster than conventional PCs” isn’t much of a feat. Further, outside of K12 education, Chromebooks haven’t gained any traction among consumers or in the enterprise — where Google once hoped they might. And of course, if Google can’t make money at the prices it currently charges for its premium-priced Pixel branded Chrome OS devices, there quite clearly is “a reason” why Google can’t simply lower its prices “as a strategy” to fit itself within the extremely unattractive competitive-commodity market for K12 Chromebooks. Bizarrely, while Chrome OS isn’t generating any real revenue for Google and can’t even support future generations of vanity hardware, there’s little effort to demand that the company stop wasting money on what has been a decade long failure. And yet at the same time, tech media thinkers have repeatedly suggested that Apple’s Mac and iPad markets — each of which has consistently generated roughly $20 billion annually — are troubled businesses in decline that Apple should maybe just walk away from. Apple may refresh iPad or Mac hardware at this month’s event, but the focus appears to be on new services Apple will be offering to its vast installed base of Mac and iOS users. That’s something that vendors focused only on quarterly unit sales can’t do. After a lost decade, there is no real installed base of Chrome OS devices to sell anything to. Why is world silent about Xi’s power grab?